On the 24th anniversary of his release from prison, anti-apartheid hero Ahmed Kathrada announced the launch of an International Campaign for the Freedom of Marwan Barghouthi and All Palestinian Political Prisoners. Kathrada was himself the initiator of the first Free Mandela Campaign after Nelson Mandela’s arrest in 1962. He was himself arrested a year later. Kathrada explained that an International High Level Committee which will champion the campaign for the freedom of Marwan and all Palestinian political prisoners will be announced at the campaign launch. This committee will include five Nobel Peace Prize Laureates. The call for the establishment of this committee was made by Ahmed Kathrada at an international “Freedom and Dignity” conference held in Palestine in April at the occasion of the 11th anniversary of Marwan’s arrest. 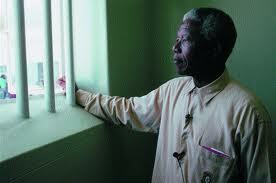 Following the Robben Island launch, there will be public events in Cape Town, Durban, Pretoria and Johannesburg. Having himself spent 26 years imprisoned under the South African apartheid state, Kathrada’s story has many similarities to that of Palestinian political prisoners languishing in Israeli jails. Marwan Barghouthi was the first member of the Palestinian Legislative Council to be arrested by the Israeli regime. He spent nearly two decades of his life in Israeli jails, including the last 11 years. Known as the Palestinian Mandela, he is a unitarian widely popular figure and the most prominent of nearly 5 000 Palestinian political prisoners who remain incarcerated in Israeli jails. As the release of Mandela and anti-apartheid prisoners was instrumental in achieving freedom and coexistence, the freedom of Marwan Barghouthi and all Palestinian political prisoners would pave the way towards freedom of the Palestinian people and peace.